Photo by Scott Fridenberg, taken with a Sony A6000 – Fstop 3.5 – ISO 400 – 1/2000. I decided that since Scott works so hard at taking photos and processing them, it was time for the world to see all of them, one at a time so you could really enjoy them as much as I do. This all started out as a hobby for him when a friend loaned him a Nikon, but he soon decided he wanted his own camera so he went with a mirrorless Sony A6000. This is a photo of Bear Creek Lake at the Mississippi River State Park within the Saint Francis National Forest just north of Helena-West Helena, Arkansas. We were on a county grab on November 16-20, 2017, and were enjoying the fall foliage trying to find a route through the St. Francis National Forest when we found this amazing spot. We entered the forest just north of Helena-West Helena along the Big Spring Road. It is a well-maintained dirt-gravel road with trees lining the sides giving it plenty of shade. 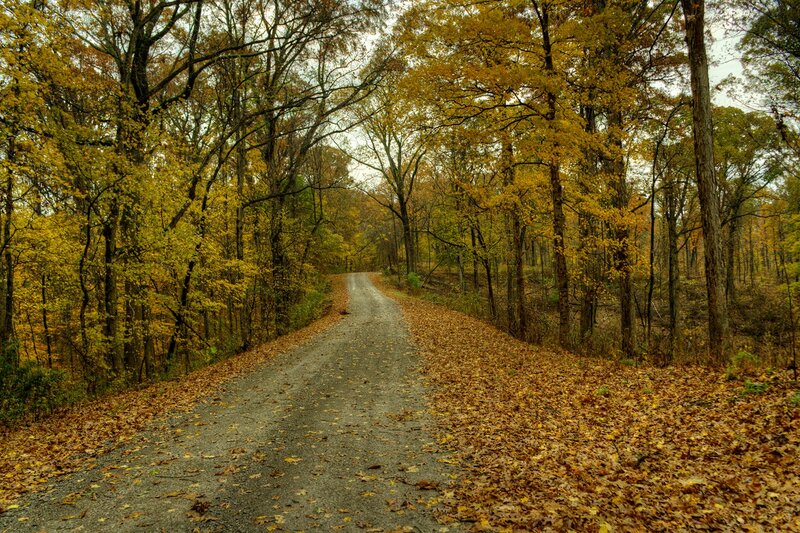 As you can see, the fall foliage is just breathtaking, giving the road a very rustic view. 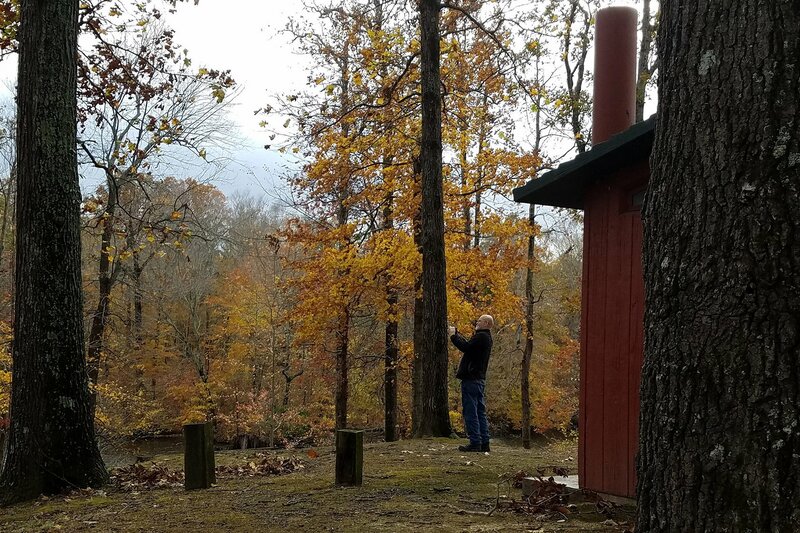 This National Forest on Bear Creek Lake has a very interesting surprise, it is one of the locations of a Louisana Purchase Survey Line Marker. It was in this area men traveled through the swampy river flatlands to survey the Louisiana Purchase. 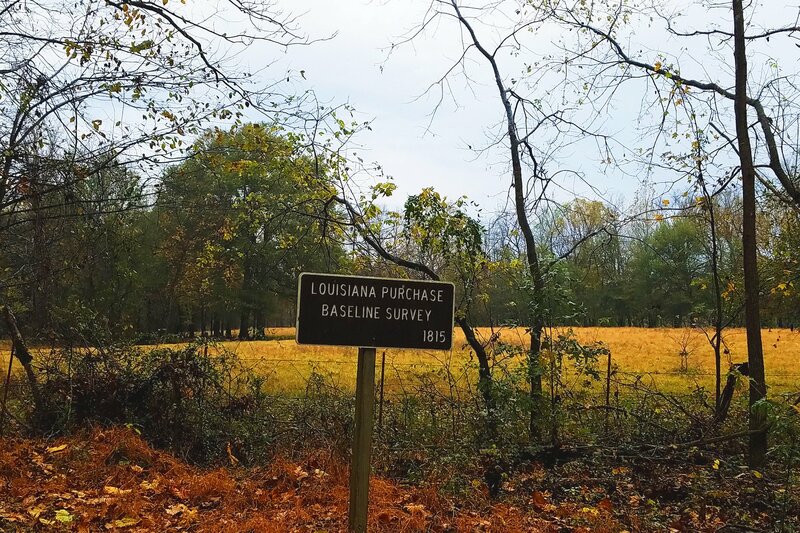 Not far from here at the Louisiana Purchase Historic State Park, you can view the National Landmark Survey Marker in Monroe County. If you are ever in that area, you should check it all out. The photo is available for purchase. Please contact us below if you are interested in purchasing.